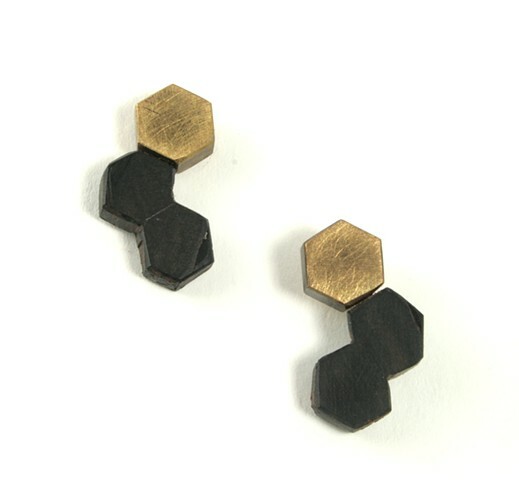 These earthy earrings feature reclaimed ebony that has been hand-carved into hexagonal shapes to nestle with an oxidized brass hexagon. Silver posts. Click on price to purchase with Paypal.